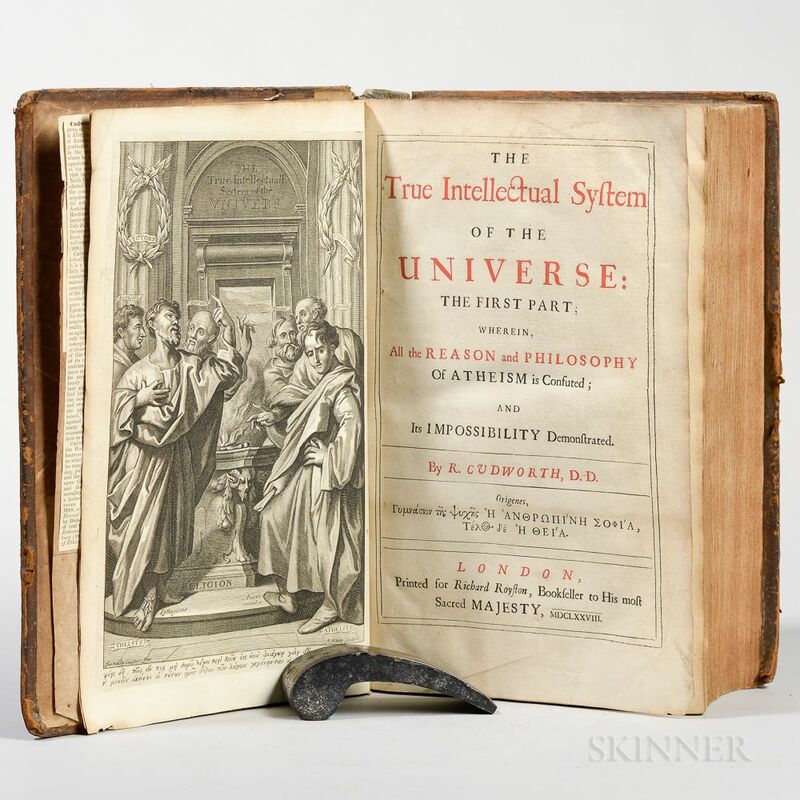 Cudworth, Ralph (1617-1688) The True Intellectual System of the Universe. 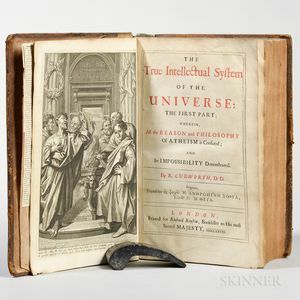 Cudworth, Ralph (1617-1688) The True Intellectual System of the Universe. London: for Royston, 1678. First edition, folio, engraved frontispiece bound opposite the title, typographical title printed in black and red, contemporary boards, worn, contents clean, 12 1/4 x 7 3/4 in.